For almost two decades, Learn2 has helped over 8,000,000 consumers, including professionals from Fortune 500 companies and government agencies, to enhance their computer skills. 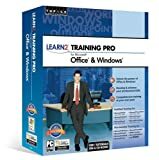 Let the in-depth courseware in Learn2 Training Pro for Microsoft Office & Windows make a power user out of you. SQL Server is a popular database for the Microsoft Windows platform and the relational database management system of choice for a broad spectrum of corporate customers and independent software vendors. SQL Server delivers a flexible, powerful platform that scales up to TB-size databases and down to small business servers and laptop databases; it fits seamlessly with existing applications and provides the most cost-effective environment for customizing and building new applications tailored to unique business needs. Visual Studio .NET simplifies the development of XML Web services and Web solutions. Visual Studio .NET has many enhancements and new features, such as a single, integrated development environment, object-oriented features in Microsoft Visual Basic .NET, and Web development tools. In addition, Visual Studio .NET Enterprise Developer includes core capabilities for building scalable and reliable applications in a team development environment. Visual Studio .NET Enterprise Developer includes developer editions of the .NET Enterprise Servers, including Windows .NET Server, making it easier to build applications that can be scaled to meet the requirements of a global organization. Also, Visual Studio .NET enables developers to perform functional and load testing of XML Web services and applications, making sure that any issues can be uncovered and fixed early in the development cycle. With Visual Studio .NET Enterprise Developer, rapidly build the next generation of applications, from Windows to n-tier applications composed of XML Web services that target any device and integrate with any platform. Use the software's tools for building XML Web services and applications. New features enable visual development of business logic components. Build, leverage, and extend scalable XML Web services with built-in support for publishing and accessing XML Web services regardless of the platform they are running on. MSDN Premium includes latest Microsoft operating systems and productivity applications. Todays software systems are comprised of numerous distributed services, spanning platforms, protocols, and programming languages, all with significant impact on the operations environment. Moreover, teams have become increasingly specialized and geographically distributed. Successful deployment of modern solutions depends on bridging the communication gap between development and operations so that the entire IT department is represented early and often throughout the software lifecycle. The new Visual Studio Team System expands significantly on Microsofts demonstrated successes in delivering highly productive tools, by offering businesses tightly integrated and extensible lifecycle tools to increase the predictability of their software development process. Complete development environment with comprehensive application development features, including improved visual designers, code editors, and programming languages for optimum productivity. Build tools that extend the Visual Studio Integrated Development enviroment using the Visual Studio Software Developers Kit. MSDN includes technical support and continuously updated technical content. 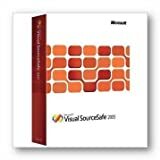 Microsoft offers Microsoft Visual Studio 2005 Professional Edition for professional developers working alone or in small teams. It gives them complete access to the .NET Framework 2.0, a robust, fully functional development environment; support for creating tools that extend the Visual Studio integrated development environment; and tools for creating multi-tier Windows, Web, and mobile device applications.